Seven-year-old “Jason Hornbuckle” has been complaining for the past 12 hours of pain when he swallows. He also has a headache and has vomited twice. His mother decides to take him to the pediatrician. 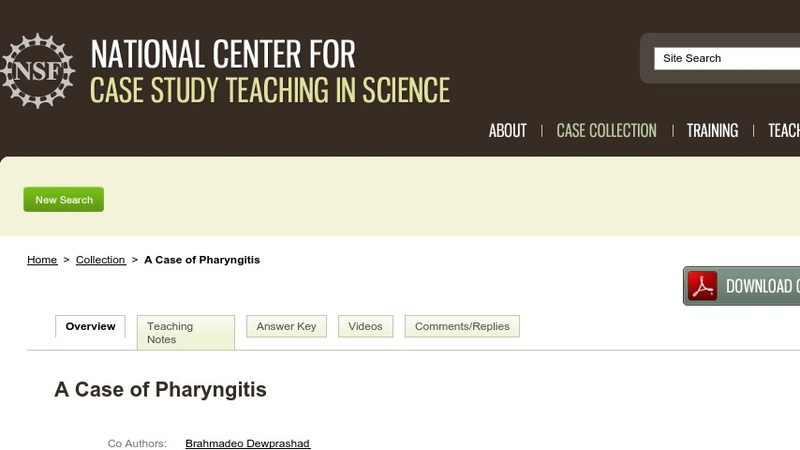 Students read a brief clinical history of the patient and a description of the relevant signs and symptoms, then answer a set of directed questions designed to probe the underlying anatomy, physiology, and pathology underlying Jason's condition. The case has been used in a sophomore-level course in human anatomy and physiology for pre-med and nursing students.